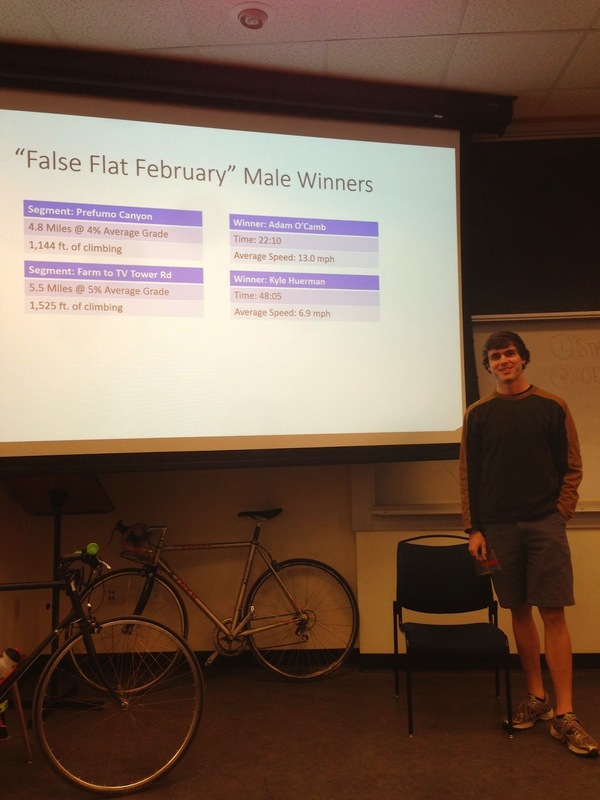 At its Wednesday evening meeting, the Cal Poly San Luis Obispo Wheelmen cycling team crowned its February Strava champions. David Waples and Julia Mace were the official champions, for the male and female categories. Jonathan Schmidt (left) and Christopher Ha (right). Amanda Strand (left) and Madison Giger (right). 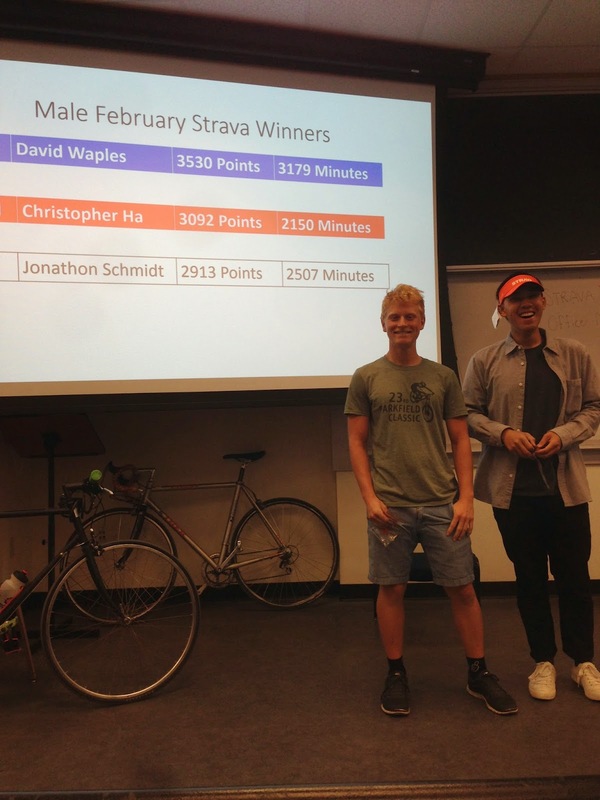 Adam O'Camb and Kyle Huerman conquered the two targeted Strava segments, for the month of February. O'Camb claimed the "Prefumo Canyon" climb, while Huerman took the "Farm to TV Tower Road" segment. 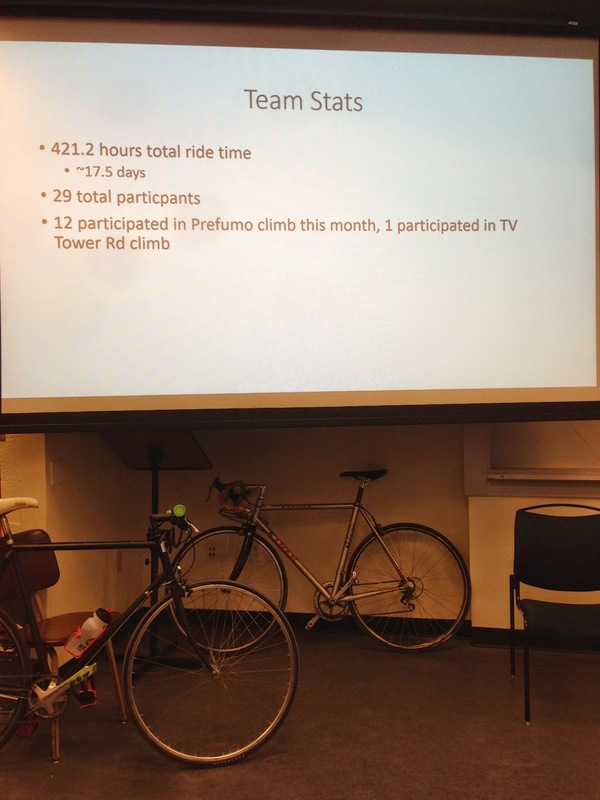 During the month of February, the Wheelmen totaled impressive ride statistics, as a collective unit. Cal Poly Wheelmen team statistics. 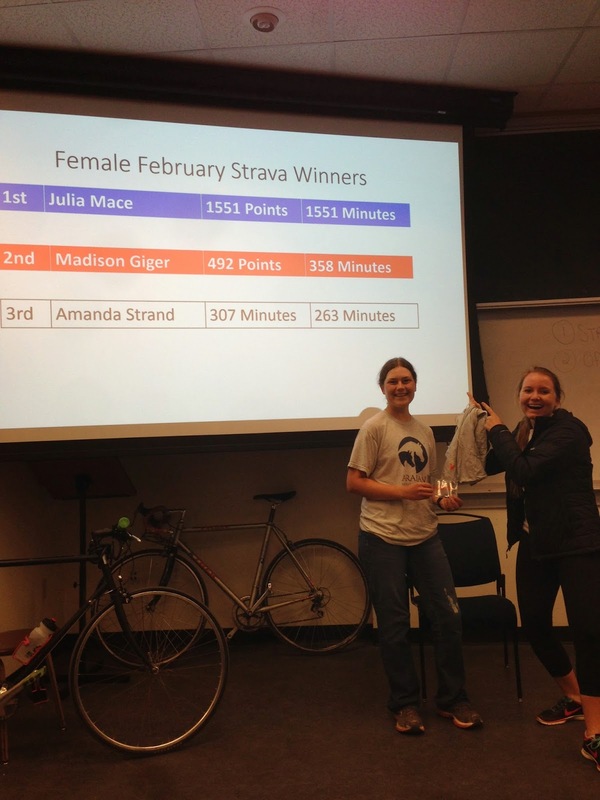 Strava generously provided prizes, for the competition.